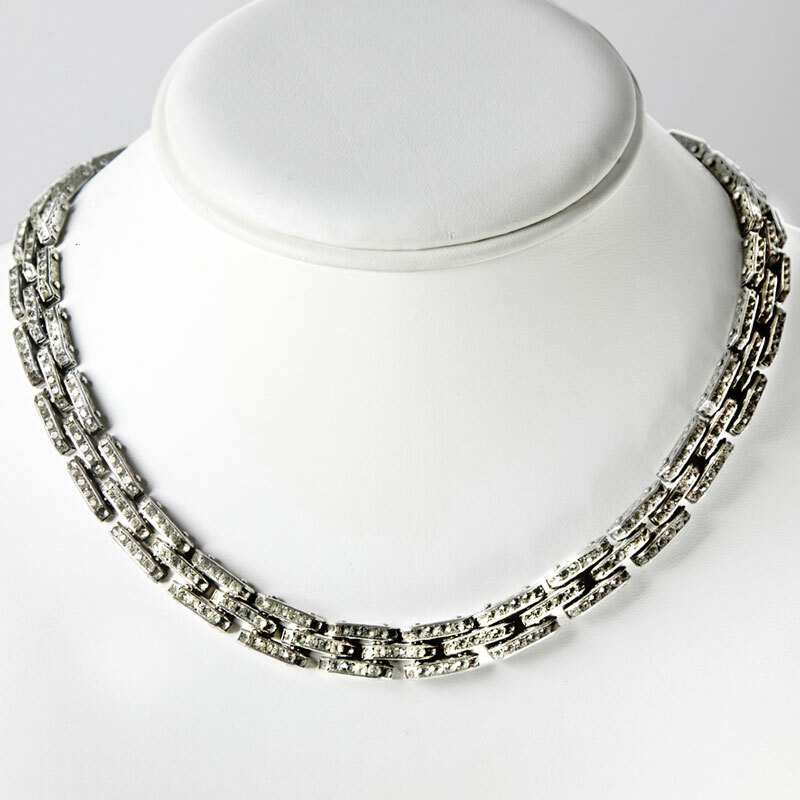 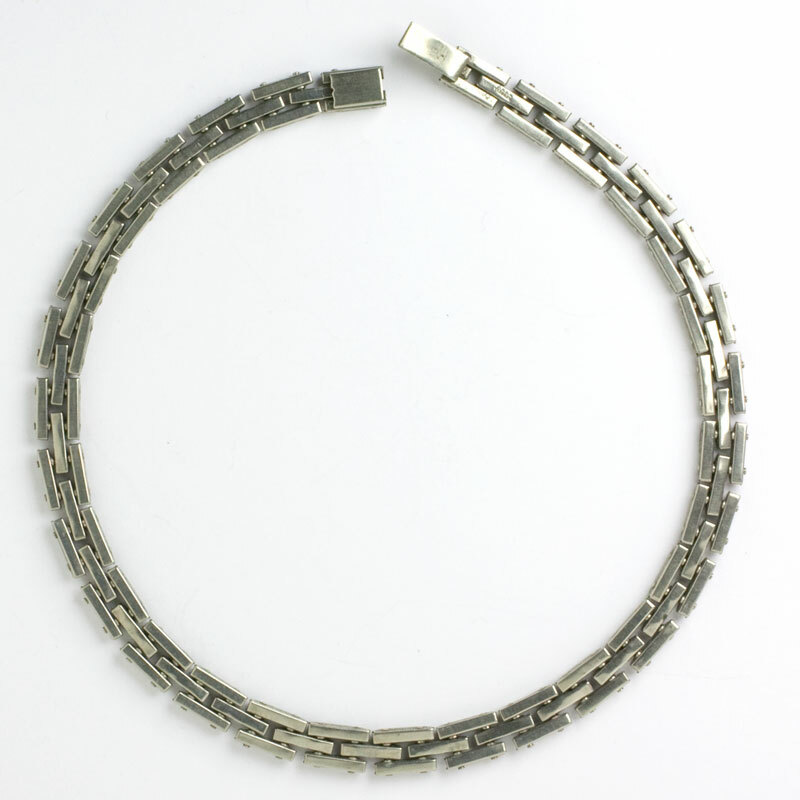 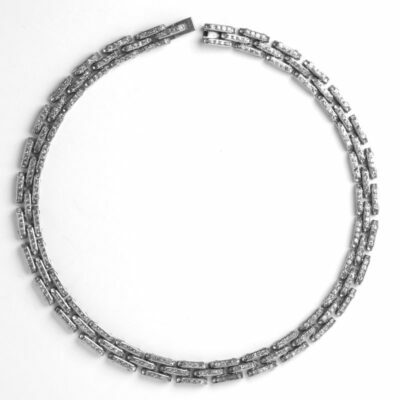 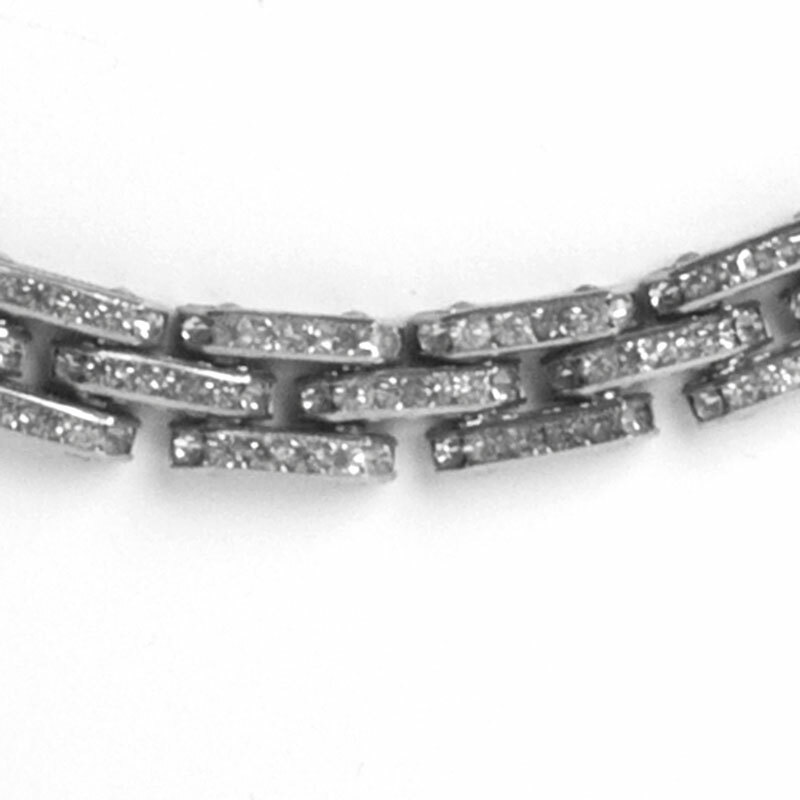 This German necklace has three rows of flat-top links of diamanté. 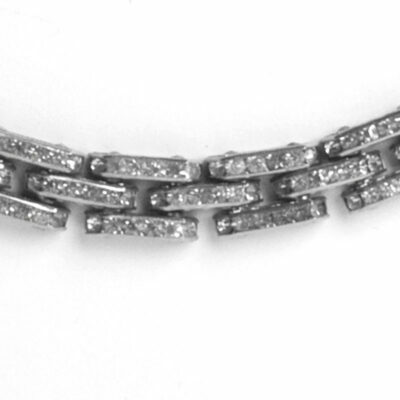 The edges of the links are engraved, and the clasp is the concealed type. 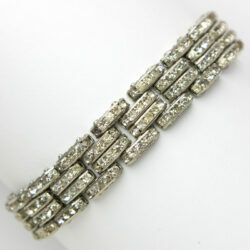 The ageing of some stones doesn’t detract from the sparkle of this Machine Age piece. 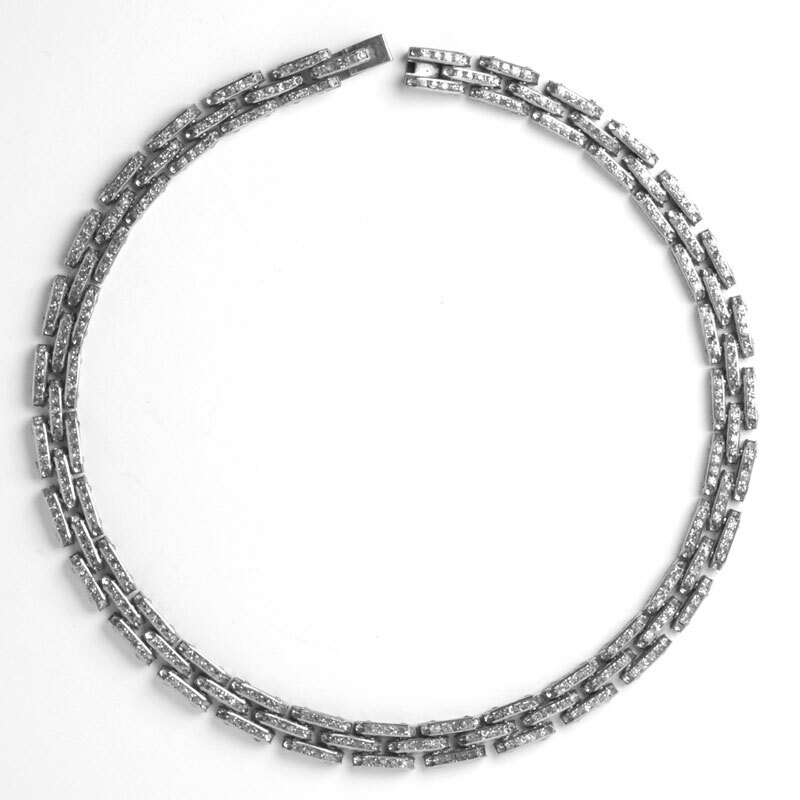 Schreiber & Hiller produced jewelry with many variations of this pattern. 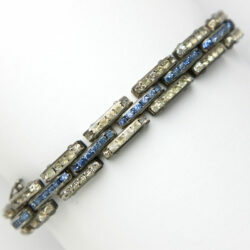 This particular design is the same as that of the sapphire and diamanté bracelet in this group. 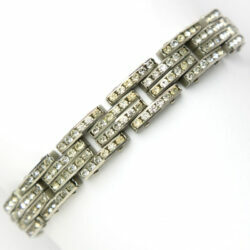 Scroll down to see it as well as two all-diamanté bracelets in a four-row, tank-track pattern, by the same maker.